A MOTHER-of-seven who fraudulently claimed £90,300 in benefits over seven years has paid back just £60 so far, a court heard. Saadia Ahmed, aged 39, claimed to be a single mother when she started claiming income support, housing and council tax benefits in June 2001. But from February 2003, she was living with husband Rashid Mohammed without notifying the Department of Work and Pensions. Laura Hobson, prosecuting at Northampton Crown Court yesterday, said investigations proved they were living as a couple as his bank account, driving licence and family car were registered to her address, which was also registered with his employers and their children’s schools. 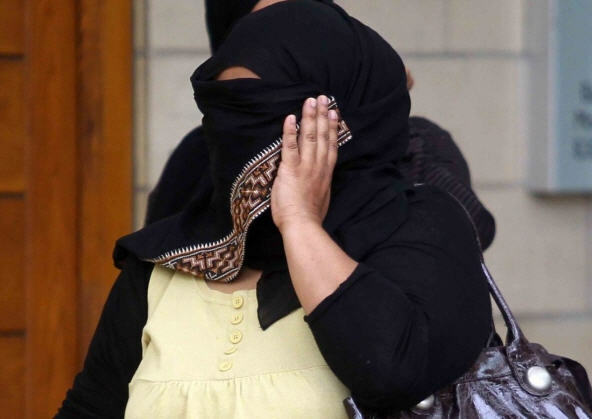 When interviewed, she denied living with Mr Mohammed but when presented with surveillance evidence which proved he was regularly staying with her, she claimed to be struggling to understand and asked for a Swahili interpreter. Even then, she maintained her denials when faced with surveillance footage. Ahmed, of Birchfield Road East, Abington, pleaded guilty to two charges of failing to notify a change in circumstances and was sentenced to eight months’ imprisonment, suspended for a year, with probation supervision and a 7pm to 7am curfew for six months. Recorder Christopher Tickle said: “Benefit fraud is a serious matter because it effects all of us who pay taxes. Alex Radley, mitigating, said: “She was subject to a relationship, which in her mind was abusive, because this is a Muslim lady and alcohol is not permitted and her husband had a substantial alcohol problem so in effect she had to provide for herself.